It can be frustrating to shop for a women’s shaver in an actual store, as they carry only the most expensive models. 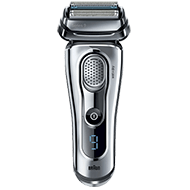 Often a shaver only lasts for a few years, so spending $100 plus every couple of years places them out of reach of many. 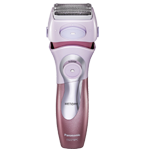 Many women may also think that Panasonic has expensive electric cordless shavers, but they do have a wide range of shavers for everyone. Use it to shave your legs, bikini region, or any other stray hairs that grow where they shouldn’t. 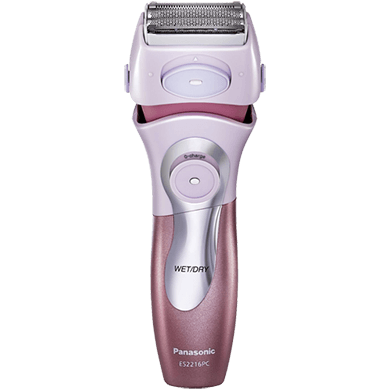 The Panasonic ES2216PC Close Curves Women’s Electric Shaver is affordably priced at under $30 and is your best solution to when you don’t want to use a razor blade or smelly hair removal creams. 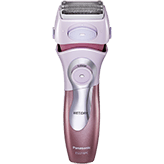 This shaver has an attractive light pink, silver, and mauve appearance. It’s in the traditional electric shaver shape, but gently tapers down to the base so that it’s easier to hold with the hand. 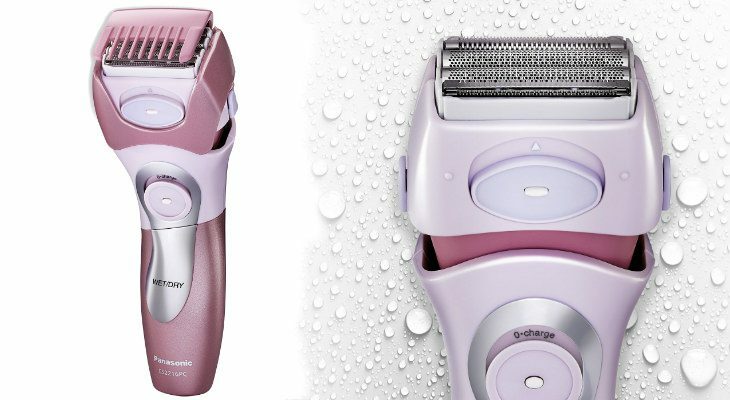 Not only is this a cordless and rechargeable women’s shaver, but it can also be used wet or dry. One full charge of the shaver will last you for twenty minutes of shaving time. 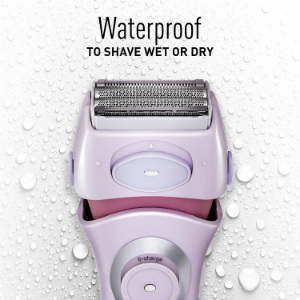 The Panasonic ES2216PC shaver can be used wet or dry, so you can bring it into the shower or bath with you. It is also fully immersible, should you drop it in the bathtub by accident. You can also use your favourite shaving gels, lotions, creams, or foams, or simply shave with water and soap. This shaver is lightweight and portable, and simple to keep clean. You can simply rinse it under the tap to get out the fine hairs and shaving products. The charger is also small and compact. It can be easily tucked into your luggage to take on a trip, or into your purse if you have to get ready for a special occasion after work. The power on/off button is located on the middle front. This is a foil-style shaver, which is what is commonly made for women. Built within the foil head are four lines of floating blades. These blades will provide for outstanding comfort. 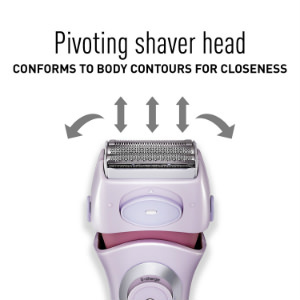 The head of the shaver will also pivot left to right and forward and backward. 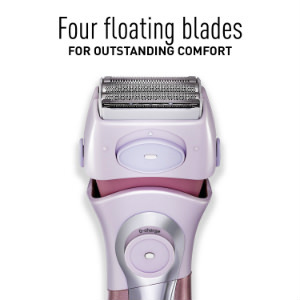 The four floating heads will smoothly trace the contours of your skin. This makes shaving your skin easier, as the shaver will do most of the work and you won’t have to do as many movements with your hands. There is also a bikini attachment included in the box. This is also waterproof and made from a mauve plastic. It looks a lot like a comb. 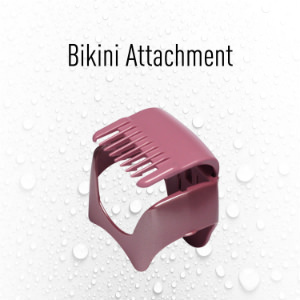 It easily snaps onto the top of the foil head for when you need to shave your bikini region. If you don’t want to completely shave off hair in your bikini region, the comb also has multiple trim length settings. This is so you can leave a specific length of hair in the region for a natural look. The blades built within the Panasonic ES2216PC are super sharp. 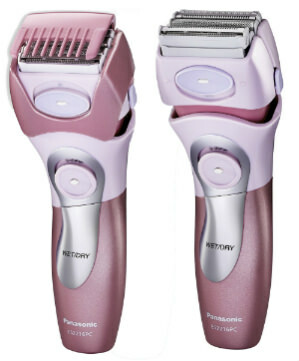 Panasonic claims that the blades contained within their Panasonic ES2216PC Close Curves Women’s Electric Shaver are sharper than any other ladies electric shaver on the market today. They are also hypo-allergenic, so that allergies and skin sensitivities will be kept to a minimum, particularly important in the sensitive regions of your body. You’ll have an increased electric razor comfort with this shaver. 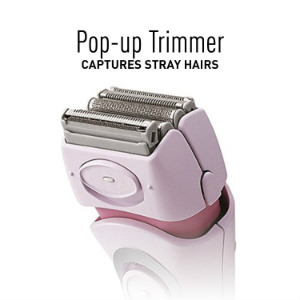 An unusual but helpful feature not often seen on a women’s shaver is a pop-up trimmer, which is pretty much standard equipment on a men’s shaver. 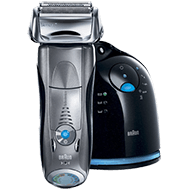 With this trimmer you can shave above your lips, or above your eyebrows, for a total full-body grooming experience. This small trimmer is much better than attempting to shave around tiny regions with the regular-sized head, as there is less chance you may accidentally shave off part of your brows, which would not be good. 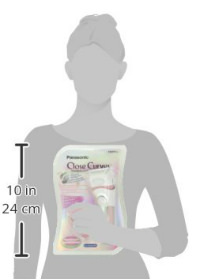 This shaver measures 24 centimetres or 10 inches tall. In the box you get one Panasonic ES2216PC Close Curves Women’s Electric Shaver, a bikini trimmer attachment, and an AC adaptor/charger. The box measures 4” x 5” x 9 inches and weighs 1.8 pounds. You can purchase replacement parts for your shaver, which will extend its life. The replacement outer foil is WES9775P; the replacement inner blade is WES9754PC, and the replacement foil and blade is WES9779PC. The reviews are favourable for this product with 3.7 out of 5 stars on over 1832 reviews. 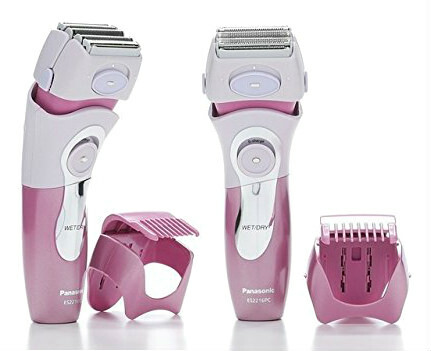 Panasonic has three notable ladies shavers in their line that are very similar, and may make choosing the best one difficult. Besides the ES2216PC, there is the ES2291DT which is orange and white, and the ES2207P which is burgundy and white. You may be pleased to hear that the Panasonic ES2216PC has a pivoting head and the others don’t. 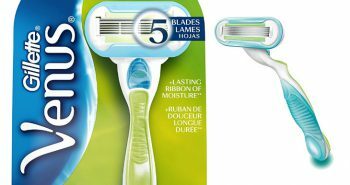 It also has the sharpest blades and a bikini trimmer attachment. One of the other shavers runs on batteries. It’s no surprise that the ES2216PC will be your best choice. If you want to buy a shaver that is both convenient and affordabld you’ll love how the Panasonic ES2216PC Close Curves Women’s Electric Shaver will keep your legs and skin perfectly smooth. This is a quality shaver that will leave your skin feeling smooth and silky, but will never leave any nicks or tug on your hairs. And at such an affordable price of $30, with the trusted Panasonic name, you really can’t go wrong.